I am re-posting this from Julie Flygare's blog to boost the signal. FDA’s Narcolepsy Patient Focused Meeting on September 24, 2013 is quickly approaching. This ground-breaking opportunity puts narcolepsy advocates in the spotlight – educating decision makers and helping to shape the future of narcolepsy treatments. Partnering with community leaders in the “Unite Narcolepsy” initiative, I am thrilled to share exciting new tools and resources! 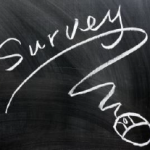 Take the Survey: People with narcolepsy AND loved ones are invited to take this anonymous confidential survey, based on the FDA’s questions to capture the variations in patients’ experiences (about 15-20 mins to complete). Start survey here. Register for the Aug. 29 Webinar: Unite Narcolepsy’s first one-hour webinar will take place on Thursday August 29, at 2:00 p.m. (EDT). Please join us for this exciting “conference via web” – I will be one of the presenters. Register here. Spread the word: Connect with other narcolepsy advocates via social media. Like the Facebook Page and follow on Twitter (use #narcolepsy and #patientfocused). Attend the Sept 24, 2013 meeting in person or via webcast: The Sept. 24 meeting is open to the public and free to attend, but space is limited so register today (deadline Sept 13, 2013). Both “live” and webcast participants will be invited to get involved in the discussion. Register here. Everyone’s experience with narcolepsy is unique, so please participate to ensure your voice is represented. Thank you! For more about the Unite Narcolepsy initiative, check out the wonderful FAQs! The FDA needs to hear from all those affected by narcolepsy. Yours and Julie's blog will do just that! !Thank you for spreading the word.